When you hire a landscaping company, it is important to know the lingo so that you can communicate effectively. Any living part of the yard is considered “softscape.” Bushes, flowers, trees and grass are included in this category. You may choose to have a mostly softscaped yard, but there will always be hardscape elements like a patio or sidewalk. 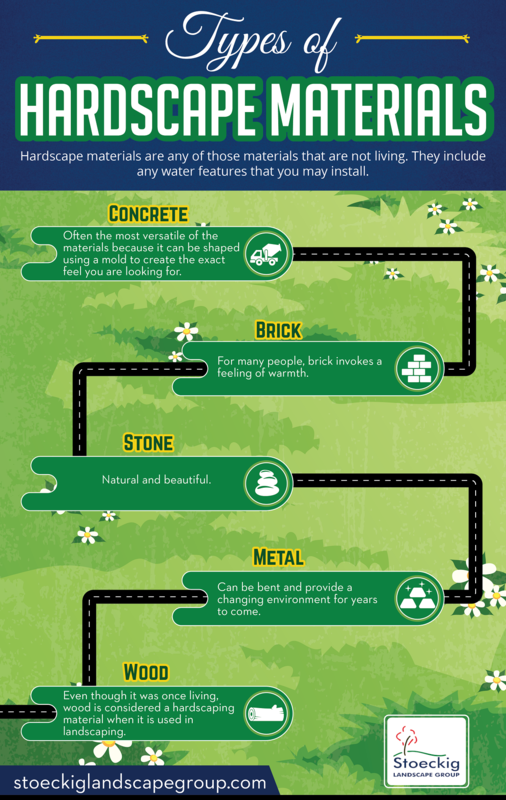 Any water elements are also considered hardscaping. Hardscape materials can dramatically change the look and feel of your yard. Whether you choose to use stone or brick can make a huge difference in how people perceive the yard. Depending on your tastes and what you want to do with your yard, a good landscaper will be able to help you choose the right materials for your yard and your personality. Some hardscape materials like concrete and metal can be molded to create the exact atmosphere that you want in pavers or other yard decorations. Water fountains and ponds are a great way to provide a peaceful place to sit and relax. The sound of water moving makes the soul restful. Perhaps the best choice for some hardscaping is wood. While a tree is considered softscaping, wood is a hardscape material. A deck or a gazebo may be made of any number of woods, depending on your climate. The wood will need to be treated to keep it from deteriorating too quickly while it sits in the sun, wind, and rain. However, it makes for a beautiful addition and can create an integrated look that other materials have a hard time matching. At Stoeckig Landscape Group, we are a family-owned business that specializes in the climate of Georgia. Our business is located in Dacula, and we create amazing landscapes throughout the greater Atlanta area. Our experience allows us to make sure that every yard is treated as a new place that reflects the nature of the home or business. We want to make sure that you get the most out of your home and garden. We provide friendly service and appointment times, so you can get on with your busy day. Contact us to find out how we can make a yard that you will love to be in.